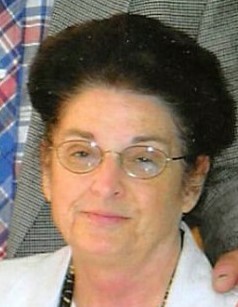 Jewell Laverne Hughes, 83, of Searcy passed away Monday, April 1, 2019 at Unity Health Medical Center. She was born February 28, 1936 in Vilonia, Arkansas to the late George and Loleta Whisnant. Jewell attended South Heights Freewill Baptist Church. She married young. Her and her husband were married October 1, 1951 and not long after she started working for the International Shoe Company. Through the years she and her husband owned and operated their own business, Searcy Sewing Vac. She loved to travel with her husband while he Pastored several churches across the states. She loved to play the piano. Jewell was greatly loved by her family, friends, and church family. She will be deeply missed. Left to cherish her memory is her brother, Linza Whisnant, wife, Evelyn of Sherwood, Arkansas; and her caregiver, Lonnie Horton of Heber Springs, Arkansas; and several nieces, nephews, and friends. In addition to her parents Jewell was preceded in death by her husband of 63 years, Elton Hughes.